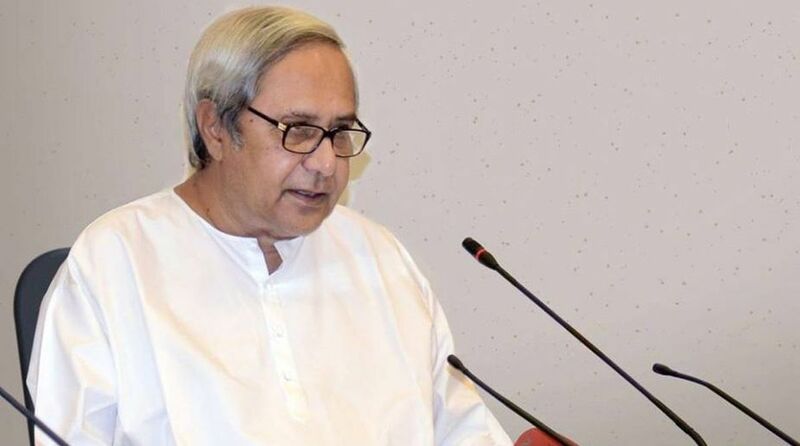 Chief Minister Naveen Patnaik on Thursday inaugurated two industrial units and laid foundation stone of 13 entailing a total investment of Rs. 2,901.20 crore and with a direct employment potential of over 3,000. The projects are located in different districts and the Chief Minister resorted to video conference from the secretariat for the event. The industries included cement , private railway siding, solar power plant, caustic soda manufacturing unit, wire drawing of aluminium insulated cables , paper packaging etc. The CM said Odisha is fast emerging as the ‘Manufacturing Hub of Eastern India’ and we are working towards developing the State into a ‘Manufacturing Hub of South Asia’. Progressive policies and developed state-of-the-art infrastructure have attracted investors and over 65 per cent of the investment intents received are in various stages of approval and implementation. It may be noted that subsequent to the Make in Odisha Conclave 2016, the first groundbreaking ceremony was held in November 2017 for 15 manufacturing units which grounded investments worth Rs. 11,690 Cr with scope to generate 8,187 jobs. The second groundbreaking ceremony in May this year witnessed the inauguration of seven manufacturing units and groundbreaking of 12 units with cumulative investment grounded at Rs. 2,675 Crore. With the third ceremony on Thursday, a total of 49 manufacturing units have either been inaugurated or started construction. The companies involved on Thursday were OCL India Ltd, IFFCO, Jajpur Cement, Jyoti Solar Solutions, Grasim Industries, Indo Nissin Foods, Hindusthan Urban Infrastructure, Shree Malani oams, Suguna Foods, Saizar Foams, Suguna Foods, Saizar Enterprise Ltd, Aradhana Plastics, Tidal Trading, Weaverbird Engineering Technology and Utkal Speciality Pvt Ltd.
A report from Paradip said IFFCO’s railway siding inaugurated by the chief minister on Thursday has been set up at a cost of Rs 64 crores. The manufacturing unit of rafia grade flexible woven plastics of Tidal Trading Pvt Ltd and Aradhana plastic unit in Paradip was on the list of the chief minister’s ground breaking ceremony.. The annual installed capacity of Tidal trading is 5040 tons per annum. The estimate cost of this project Rs 20 crore. Collector Yamini Sarangi and other IOCL officials were present during this inauguration ceremony. The Dalmia Cement’s flagship unit OCL in a statement said the ceremonial foundation stone for its third integrated cement plant at Rajgangpur by the chief minister was another step in its commitment to the state. The new manufacturing facility will be known as Dalmia DSP Unit. Mahendra Singhi, Group CEO, Dalmia Bharat Cement, Mr. Amandeep, Whole-Time Director, OCL India Limited and Mr. Joyram Mishra, Head of Corporate Affairs (East), DCBL. Sundargarh District administration along with Mr. Sunil Gupta, Executive Director – Manufacturing (East), DCBL joined the event at Rajgangpur. With the plant going live, the company’s total capacity in Rajgangpur will increase to 6.25 MTPA in cement and 5.9 MTPA in clinker manufacturing. The new Dalmia DSP Unit will entail an investment of Rs. 2,000 crores and it is expected to be commissioned by late 2019.